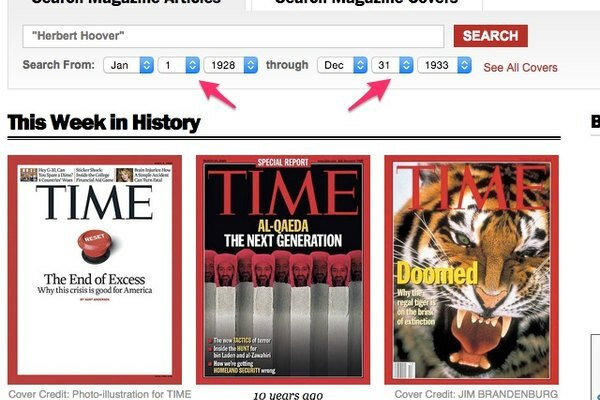 Time magazine provides a number of ways to search their online archives for historic articles and cover images, but some content is only available to paying subscribers. You can also find print versions of back issues of Time for sale on a number of websites, and you can browse and borrow back issues from many libraries for free. 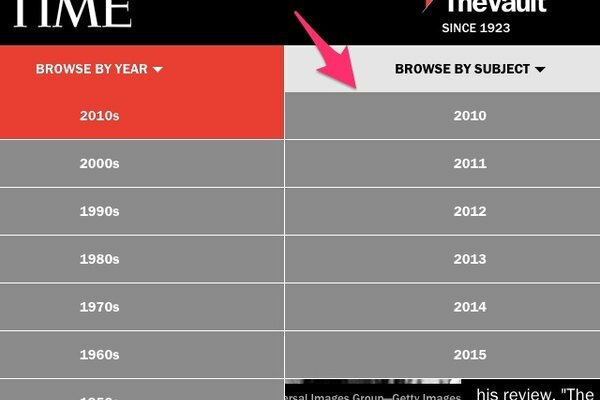 You can search all of Time magazine's archives, dating back to the magazine's launch in 1923, directly from the magazine's website. To search the online archive, visit the archive site and enter search terms and keywords in the search box. Use the date selectors to restrict your search to particular date ranges, or leave them as is to search the entire archive. Searches and article previews are available for everyone, but full article text for many historic stories is only available to subscribers. The magazine also offers another interface, called The Vault, that allows you to browse through the archives, looking for articles printed in a particular year or about a particular subject. Paying subscribers can also digitally flip through issues online, seeing page-by-page images of the magazine as it was printed. To explore The Vault by year, visit the website and click the Browse By Year button. 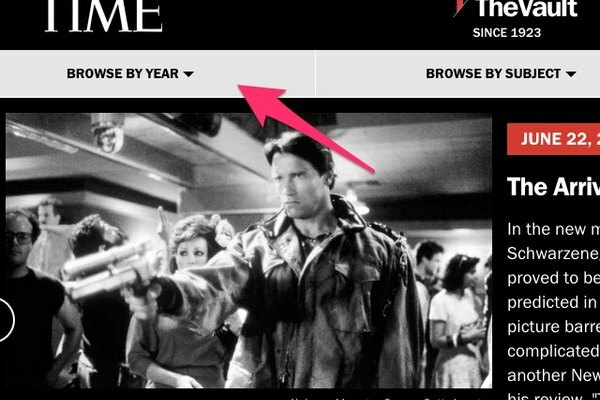 Within the year menu, click the button for the year in which you're interested to see its magazine covers. Mouse over the range of covers for the year you've selected. Click the Browse Issue button to access interactive images of the magazine — this feature is only available only to subscribers. Click Buy Cover to order a printed copy of the magazine cover. Click Web Version to see a list of articles from that issue of the magazine. 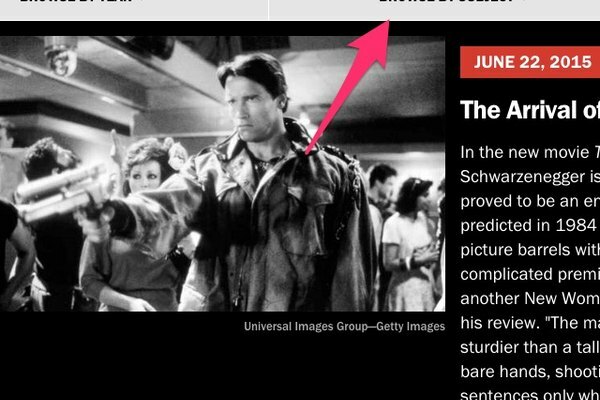 On the Web Version page, click the title of a particular article from the issue to read the article. Not all articles listed in the Web Version editions are available to unsubscribed users. Many full-text articles from the more recent issues of the magazine are available at no charge — for articles from older issues, Time will display the intro to the article along with a prompt for subscribers to log in to see the full content. 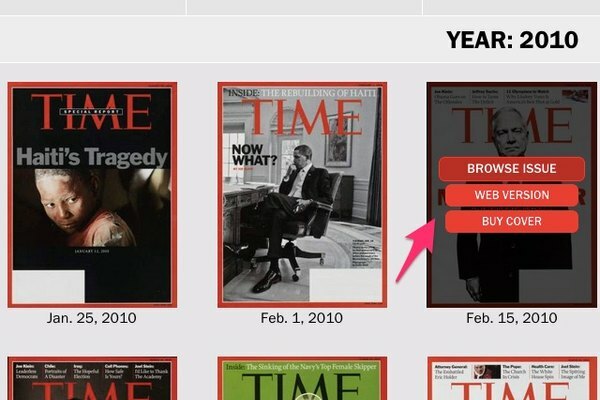 Selecting Web Version for more recent issues of Time — from 2009 onward — will also bring up Time's online Web Exclusives for that issue. Click the Browse By Subject button to browse by subject. 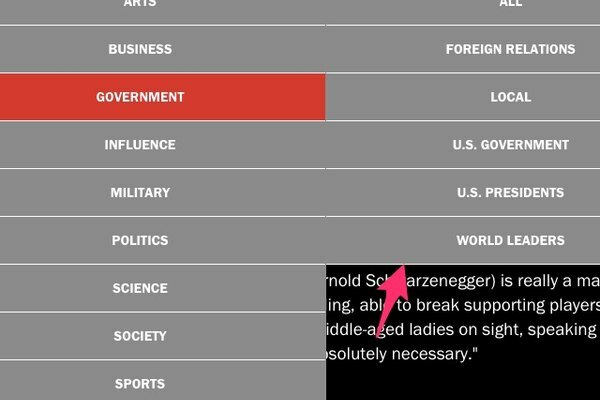 Within the subject menu, mouse over a subject and click on a subtopic in which you're interested to see Time covers dealing with that topic. Within the topic page, mouse over a cover of your choice. Click the Browse Issue button to access interactive images of the magazine, available only to paying subscribers. Click Buy Cover to order a printed copy of the magazine cover. Click Web Version to see a list of articles from that issue of the magazine. If you prefer a physical magazine that you can page through, there are a few different ways to find back print issues of Time. 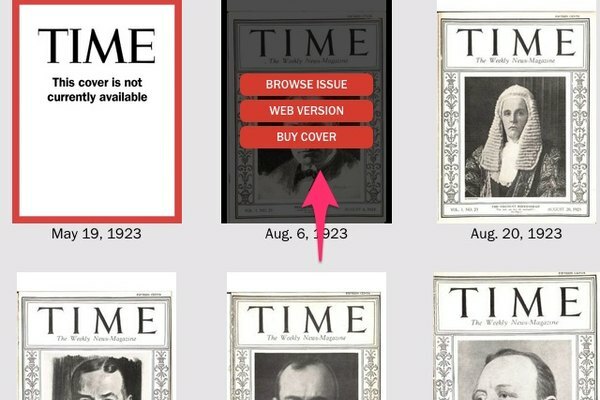 The online Time Back Issues Store lets you order recent years' back issues of the magazine directly from the publisher. 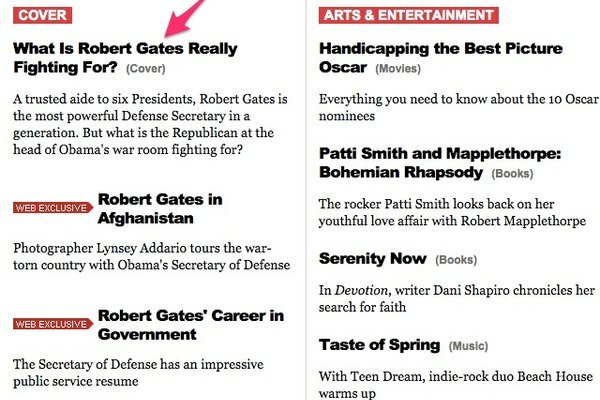 Many issues are digitally available for iPad users, as well. You can also call the magazine to inquire about ordering specific issues. Third-party sellers also sell back issues of Time online. Auction site eBay lists many older issues of the magazine in a variety of conditions from various sellers, as does Web marketplace Amazon. Some bookstores also sell their back issues of the publication, including some older vintage editions, through AbeBooks, an online marketplace for sales by professional booksellers. Many public libraries and libraries at colleges and universities also have back issues of the magazine, both in print and on microfiche or microfilm. You can use WorldCat, an online tool for searching library collections, to check if libraries near you have issues you're interested in or just give your local library a call or visit. Some issues are also available through EBSCOhost, an online, subscriber-only database that some institutions like schools and libraries pay to allow their users to access. What Does the Kindle Edition Mean?